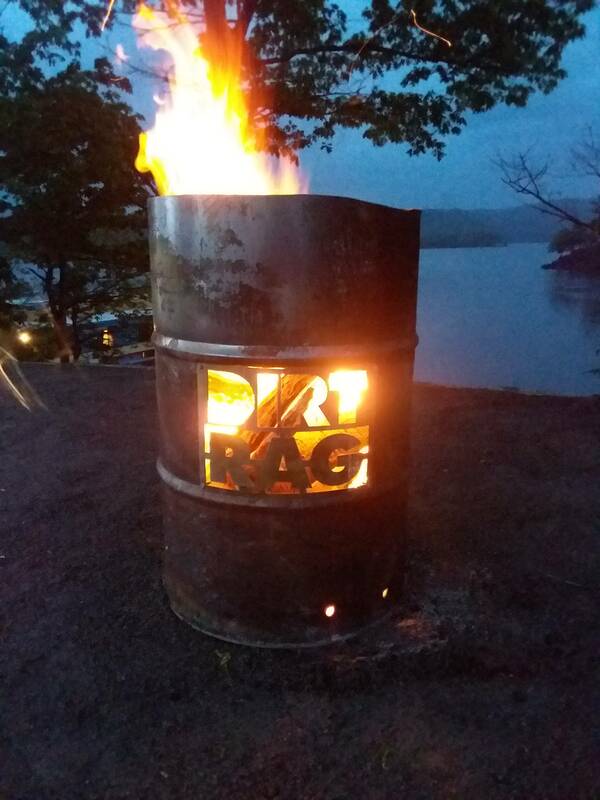 This marks the third year I've attended the DirtRag DirtFest in Pennsylvania. Two out of three of the trips have been in the rain, but I still look forward to this early-season event with plenty of enthusiasm! This year, my friend Whit decided to join me. He and I went back-and-forth a few times trying to decide whether to drive or ride - eventually we chose to tough it out since riding motorcycles there was originally one of the highlights of the trip. On Thursday morning we headed west, finding rain but pressing on nonetheless. 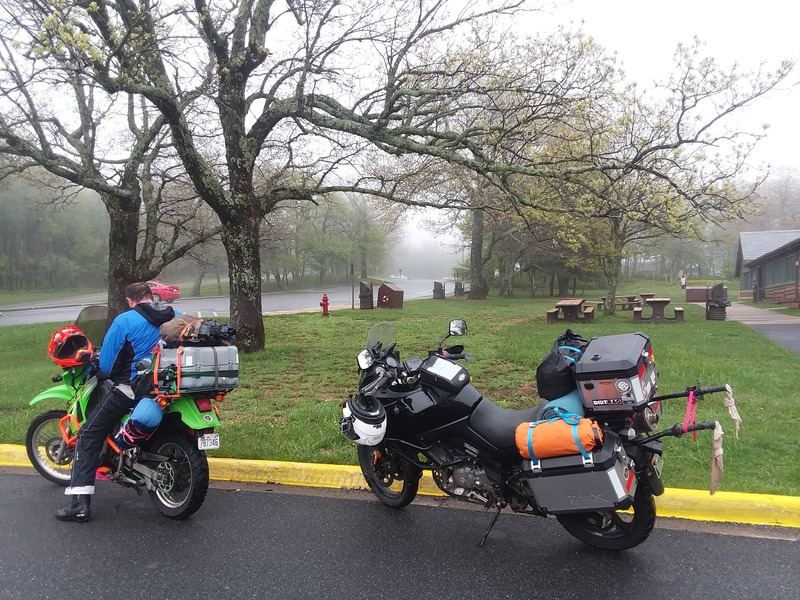 Our ride along the Skyline Drive was actually pretty interesting as we were actually IN the rain clouds for the majority of that segment. 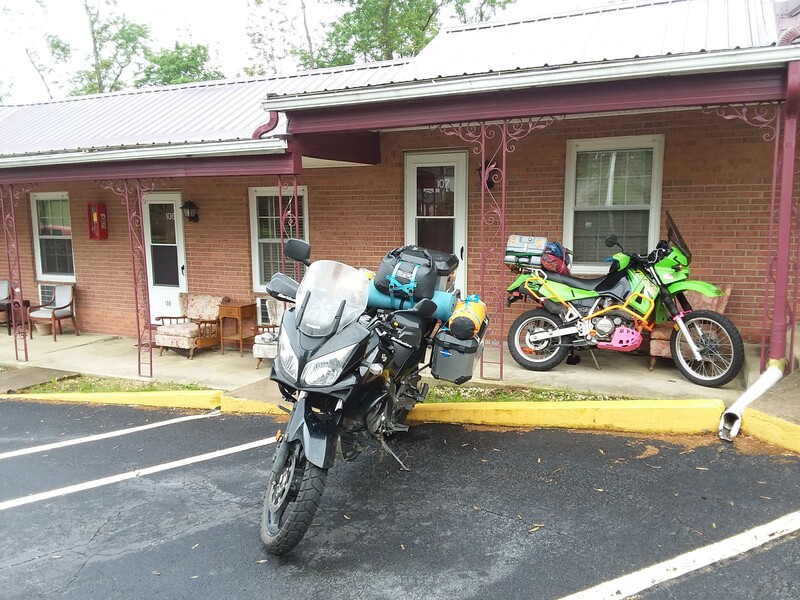 Once we reached the northern end of the Skyline Drive, we stopped for lunch at Pavemint Taphouse in Front Royal, VA. Roughly two hours later we'd reached our final destination for the night - a motel in Hancock, MD, along the C&O Canal. The next morning we wiped the rain off the bikes and continued north. 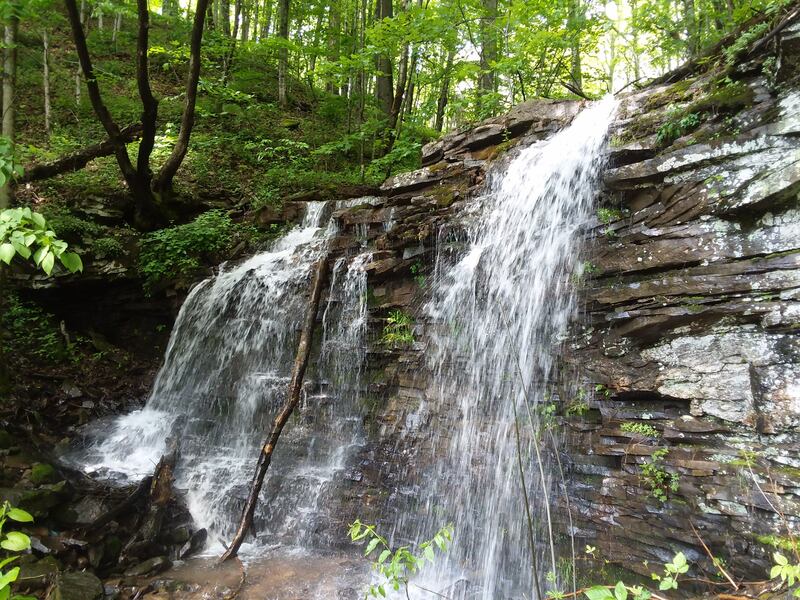 We kept a relaxed pace as we found a backroad route to our midday destination - Fat Jimmy's Outfitters in Bedford, PA. I'd made arrangements to pickup a replacement chainstay after thrashing mine. The part hadn't come in yet, so we decided to swing back on Saturday afternoon to grab it instead. 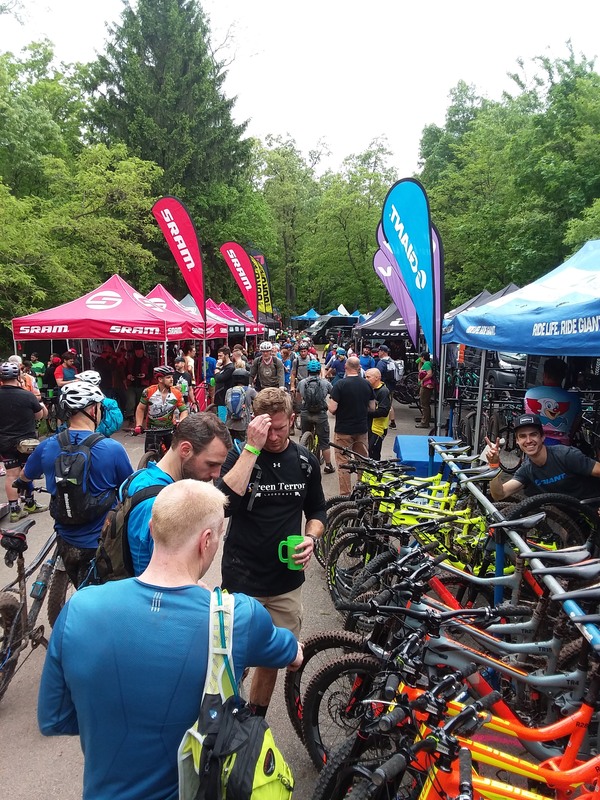 After riding the last bit to Raystown Lake, we checked in at the registration tent, setup camp, and headed to the vendor area to grab a couple bikes to demo. The trails were a bit wet, but still relatively grippy. One short loop put us back at the demo area, where we returned the bikes and set out to explore the vendors. That night we hung for a bit with fellow campers before settling into our respective tents as the rain began to fall. The next morning we woke to find the area thoroughly saturated. We attempted to cozy up to some of the demo drivers, but didn't get very far as they'd decided unanimously to hold all demo bikes. With that, we decided to pack up and head to Bedford to grab my chainstay. 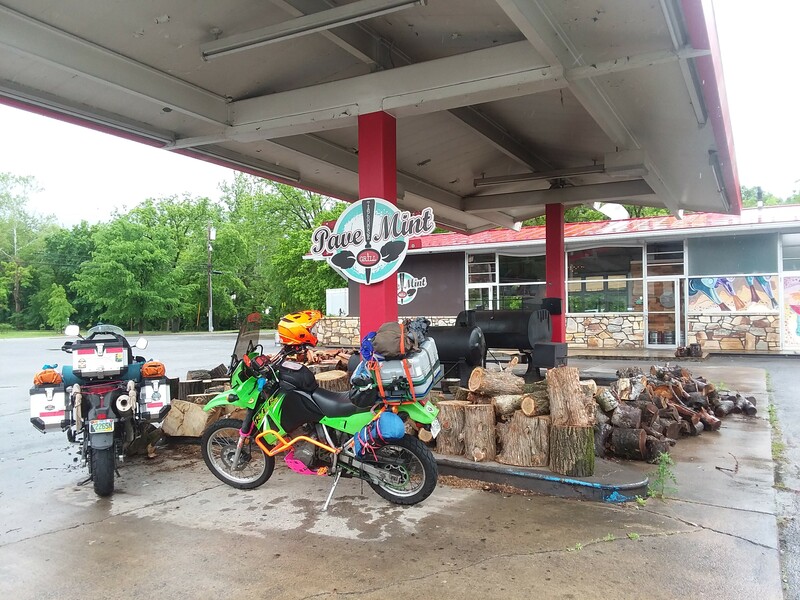 Along the way, we found lunch at The Twisted Trout. That night we wandered the town of Bedford and sorted through our wet gear, drying what we could. 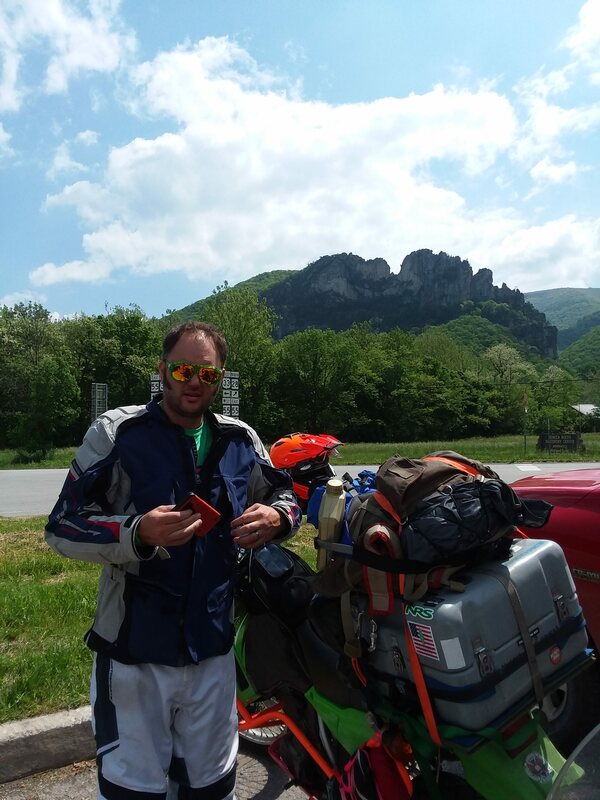 On our final day of the trip, we decided to return via Seneca Rocks. It was a beautiful blue bird day, serving well to make up for the rain we'd endured previously.